We will buy your Saab! When you sell your Saab to eCarsCash, our team of specialists will assist you through every step of the process. The condition or mileage of your car doesn’t matter to us since we buy all models of Saabs. When we buy cars, we make sure that it’s convenient and safe for you. There is no better way to get fast cash for your car. Sure, there are other ways to sell your Saab, but they can’t compare. Not only are they more time consuming but sometimes you won’t even be able to get the actual market value of your car. Thousands of people have trusted our simple way of selling their Saab, give us a try today! You can get an instant quote now when you complete our online appraisal form. If you would like to talk to us or get some advice, you can call us and speak to one of our Saab experts. Our customer service is unmatched. Originally, Saab cars were all designed by a Swedish company but were later sold to General Motors. GM successfully manufactured these vehicles until 2010, when Saab was sold back to a Swedish company called Spyker. Saab cars fall into the luxury branch of vehicles and are known to be very safe and dependable. Saabs more popular model was the Saab 900, later replaced with the Saab 9-3 that had a modern look and features. Another popular model that was well received by customers was the Saab 9-5. The used car specialists at our organization are ready to work with you. 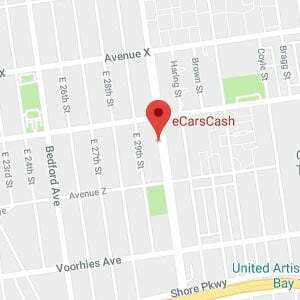 Call us now at (718) 393-5597 and let us help you get started on the right path in order to sell your vehicle for cash. Expect the call back within 10 minutes. © 2019 eCarsCash. Cash for Cars Specialists. All Rights Reserved.